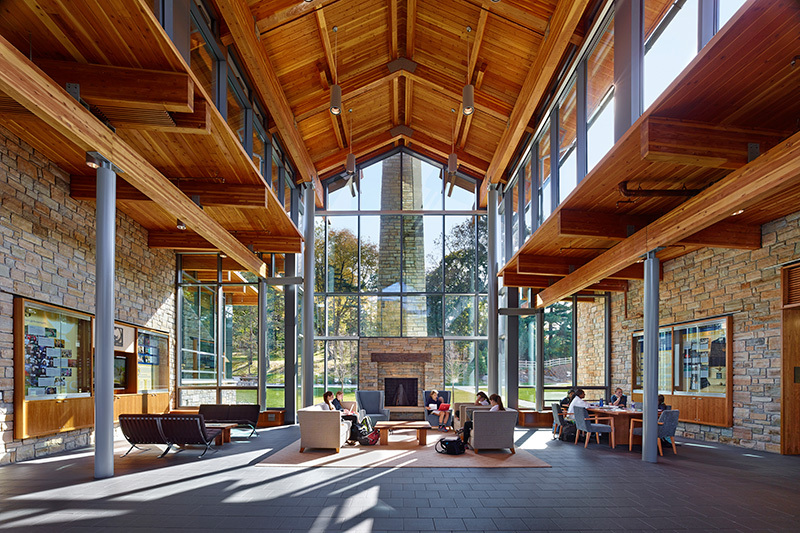 An all-girls college preparatory school, Agnes Irwin envisioned their new Dining and Athletic Facility as a welcoming “front door” to their campus—a living room where students can gather and study amid an inviting fireplace, dramatic architecture, and exhibits that showcase the School’s history. 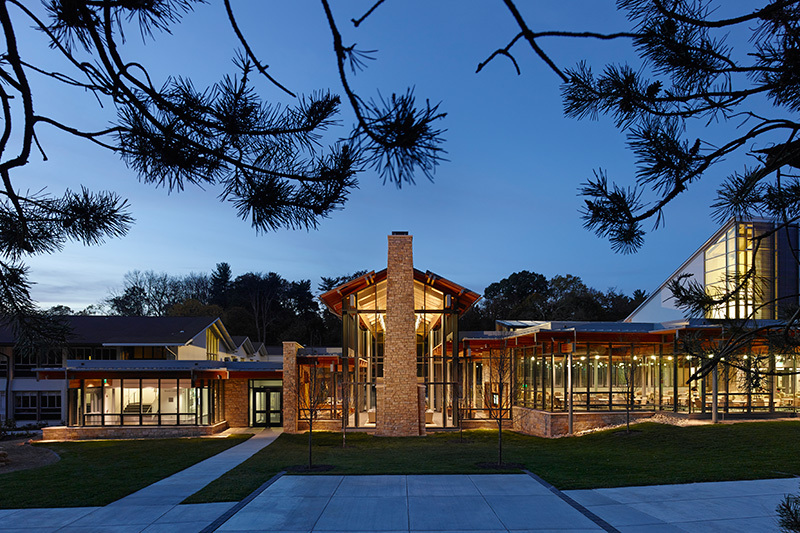 Their new 90,000-square-foot Center provides a variety of student life amenities, including a gymnasium, squash courts, fitness center, rowing center, tennis courts, artificial turf fields, a dining facility, and a state-of-the-art Innovation Center. B&F worked with the School from the project’s inception, developing a comprehensive budget and identifying cost savings in keeping with long-term priorities, including infrastructure for future campus projects. Township regulations limited the height of the facility, requiring the gym floor and Rowing Center to be constructed below grade. After estimates came in over budget, our team found a way to stay within compliance and reduce excavation costs by raising the building three feet. Dense granite required intense excavation, and blasting activities were carefully managed to protect student safety. We worked with a myriad of special vendors, from food service to rowing tank suppliers, to achieve project goals. Despite many unexpected challenges, the beautiful new facility was delivered under budget and on schedule.